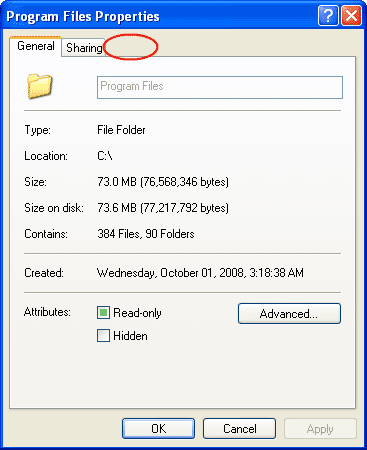 On Windows XP Professional, the security tab in folder properties is hidden. 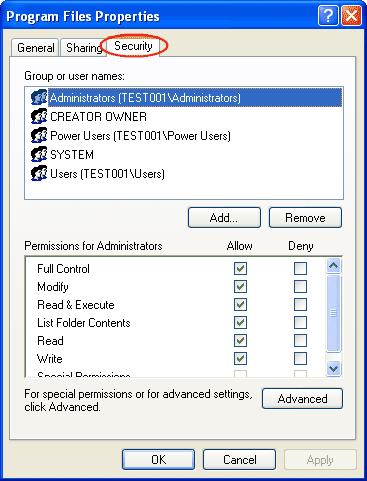 So you can’t configure permission on a certain folder. Don’t worry, this is not effect from virus or malicious things. It is by design of Microsoft to hide the security tab as a default setting. 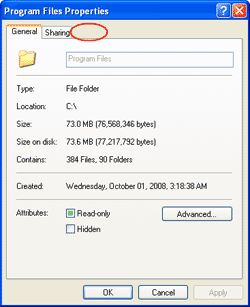 This is the example of a folder properties on Windows that is in a work group. You’ll see that there is no Security tab in the figure below. Note: On Windows XP which is in an domain will not affected this problem. 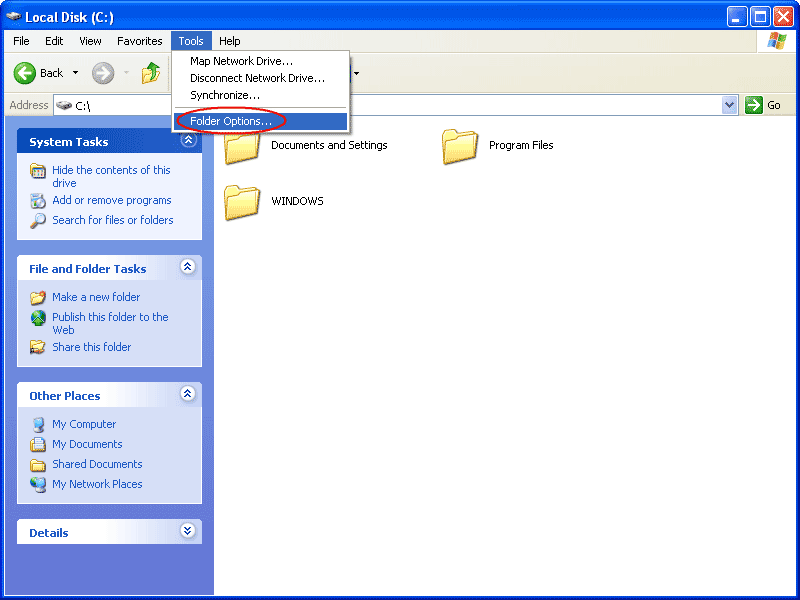 Open Windows Explorer. 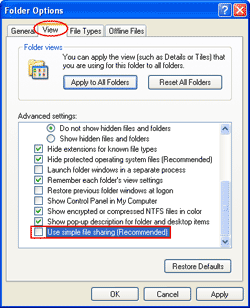 Select Tools -> Folder Options. Click on View tab. 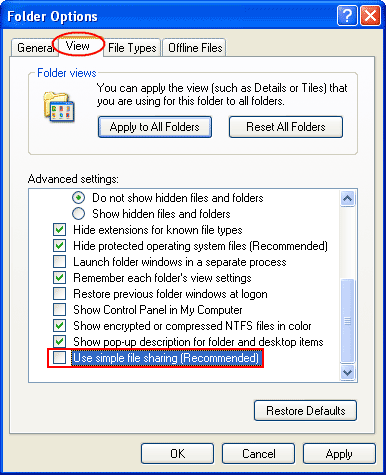 Then, browse to the bottom of the Advanced Settings and unchecked the box “Use simple file sharing (Recommended)”. Next, try to open the folder properties again. You’ll see the security tab. Now you can customize permission as you want. Is the computer in a domain? If it is in the domain, it may result from domain policy. @linglom… i don't understand what u mean with "is the computer in a domain"? Hi Linglom, I don’t understand what domain is. But i am using the administrative account. I can’t seem to have the “Use simple file sharing” in the checklist. Thank you and it is working. I am not able to see a sharing or security tab. I turned simple file sharing on, then off again. I think they pushed out a new policy. I need to administer properties because I have IIS on here and it’s my development environment. I also tried changing “Network access: Sharing and security model for local accounts” in group policies and that didn’t help. Was already what it should be. I do not log in through an NT domain. 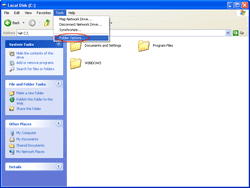 I can see the security tab for drive properties but not folder properties. weird.